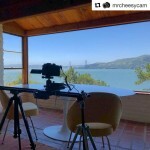 INSTAGRAM: @pcxperience filming with his #nikon #D5100 #DSLR camera and our #cametv #80T #Slider! Recensendo le cuffie #auna che hanno una bella novità... Stay tuned! Posted in CAME-80T Video Slider, Instagram. Tags: 80T slider, 80T video slider, came-tv, came-tv 80t video slider, came-tv slider, camera slider, cametv, D5100, Instagram, nikon, nikon D5100, slider on March 15, 2016 by CameAdmin.